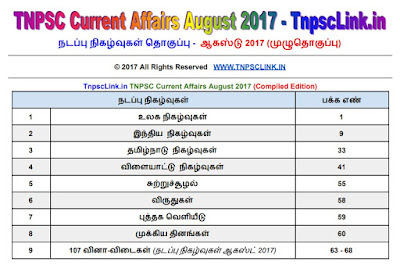 TNPSC Current Affairs August 2017 in Tamil Compile Edition in PDF Format, for forthcoming TNPSC, TNPSC VAO 2017, TRB, TET, RRB, UPSC, Banking other Competitive Exams and all Government Examinations. 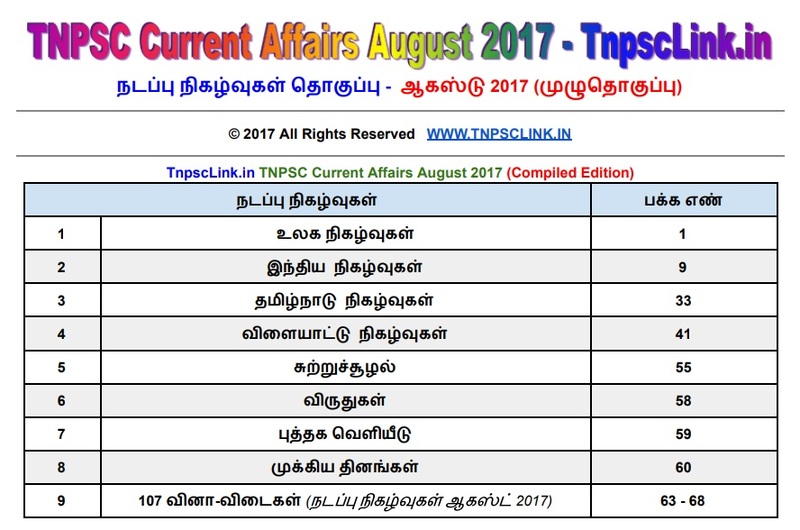 Covers International Affairs, National Affairs, State Affairs, Tamil Nadu Affairs, Environmental Affairs, Sports Affairs and Important days. Download this file to PDF format.